I’ve been reading quite a bit about “Caravan MOT’s” lately and I want to know what you think. In this post I will give a general summary of the plans that are being proposed and finish by weighing up the pro’s and con’s of introducing MOT style testing to the caravan industry. There is a poll at the bottom for you to have your say, but before you make up your mind please read the post below in full. The idea of MOT style testing for caravans has been a thing of discussion for quite some time between the powers that be. To date, nothing definitive has been concluded as to whether or not caravan MOT’s should be introduced. With that being said, the EU have proposed plans to introduce a caravan road worthiness test within the next few years. The UK government is opposed to the plans and are attempting to resist the plans coming in to force. According to the supporters of the proposal, the plans are part of a “tougher vehicle testing regime” which will aim to make the roads safer with standardised testing for all vehicles. The plans would affect caravans weighing more than 750kg, the number of caravans that fall under this umbrella is estimated to be some 500,000 tourers in the UK alone. Last year, the government estimated the cost of introducing such regular checks in the UK to be in excess of £230,000,000. This would mean the creation of a whole new department to monitor and regulate, and probably some kind of compulsory registration scheme for touring caravans. Is caravan servicing not enough? 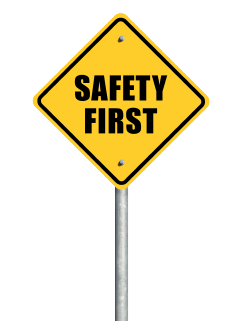 Presently, it is not required by law that caravans undergo any kind of safety check, although both well respected caravan organisations like The Caravan Club and manufacturers recommend an annual service to be undertaken on touring caravans. The road worthiness of a tourer is checked during most services. You can find out more about caravan servicing in an article I wrote here. The Caravan Club are also opposed to the plans for compulsory testing, they say that there are no clear goals that outweigh the cost of introducing such a scheme. They also went on to say that it would likely have a negative impact on the uptake of caravanning and other associated tourism within the UK, this would in turn have a knock-on effect to the economy. What are the pro’s and con’s of such a move? My personal opinion is that although I agree that it would help to make the roads safer, I don’t think that the cost to the country and the additional running costs this would mean for caravan owners can justify the moves. Many caravan owners are also family people and take their children or grandchildren along with them. Having been involved in the caravan industry for many years I know that caravan owners are far more inclined to have their caravan serviced for the peace of mind while travelling on the road their families on board. I don’t think that compulsory regular checks are the answer, but I would like to see perhaps more education for caravanners on the benefits of having your caravan serviced, focussing primarily on road safety (perhaps that is something for me to tackle on the blog in the future). I think we are more likely to see the introduction of a caravan road tax within the next few years. But who knows? Anything could happen! Now over to you – I’d like to know what you think about the EU’s plans to introduce MOT style testing. Please submit your opinion in the poll and leave your thoughts in the comments section below. Do you think MOT style checks for caravans should be introduced? more BS from them clowns in the eu. We purchased a caravan through a reputable local company as we thought and ended up after just over a year finding out the the caravan was never serviced properly i.e. brakes, tyres, gas, elect etc etc and at present dealing with Trading Standards on the matter. The also sold us the caravan as 1999 and we have just realised the the ‘W’ in the VIN No. is for the year 1998. We have passed this onto the Trading Standards. The caravan dealers couldn’t care less and we have a battle on our hands, but we intend to take it to court. Fingers crossed!! 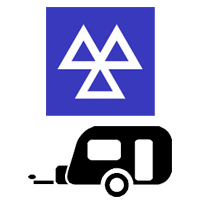 The caravan is unfit for the road and had there been a legal and proper MOT then the chances are that being sold a dangerous and unroadworthy caravan would never have happened to us. Well, I think your on the right tracks but I don’t think an mot would necessarily improve your chances of buying a better caravan just like it doesn’t with a car! however I think if an annual service certificate was made compulsory by caravan insurers at least then when anyone is thinking of buying a caravan the potential purchaser could ask the seller for such a certificate, this is more likely to show the caravan owner takes care of their caravan by having an annual service and the buyer can make up their mind from there. of course you’ll always have those who don’t even bother with insurance and just don’t care about their caravan, the danger it may cause on the road and other road users but nobody has to buy a caravan without a service certificate, you wouldn’t buy a car without one! Also with regards to the year of manufacturer, caravans are almost always sold as next years spec, for example, I bought an adria in late 2010 with a 2011 spec, therefor it is sold as a 2011 adria altea! An interesting point you make B Kelly. Sorry to hear about the trouble you are having with your van, I hope you get it sorted soon. It’s the worst feeling isn’t it! You’ve got the caravan sitting there but can’t do anything with it. All the best for the future with it.